How do you normally carry your bag? In your hand? Tucked under your arm? You may think this is a silly question, but it's actually quite relevant. While the style of bag or designer you choose speaks volumes about your personality, so does the actual way you're holding it. To prove it, we tapped body language expert Susan Constantine to spill on what your bag-carrying style says about you. Keep scrolling to find where you fall in the spectrum, and go just a bit further to shop some of our favourite bags of the moment. What you're communicating: "Staying safe is most important to you. With the pouch out front, you can keep close tabs on your personal belongings." What you're communicating: "You're guarded and distant. Bracing your hand over your forearm wards off intruders. You feel safer with ample distance between yourself and others by creating a barrier to avoid getting personal. Grabbing the bag completely is like holding a pillow to soothe internal emotional conflict or even feelings of paranoia." What you're communicating: "The handbag down the side shows a trusting person—dangling life by its fingertips, you take life in stride. You can also be an open target for not-so-trusting people." What you're communicating: "You're concealing. Holding the clutch under the arm is like hiding something in a secret place where no one can find it. Holding it close and guarded says, I’m not letting anyone in on this deep secret, not even my best friend." What you're communicating: "You're street-smart and assertive. You're acutely aware of your surroundings and those around you. The forearm brace reinforces your sense of security signalling to others." What you're communicating: "You're willing to let anyone in, including strangers on the street. If you display designer labels, it shows that you want everyone to know your business. There are no secrets here. Whatever is on your mind will openly tell all." What you're communicating: "You're a flirtatious teaser. You like to drop sublet hints to keep your query guessing. 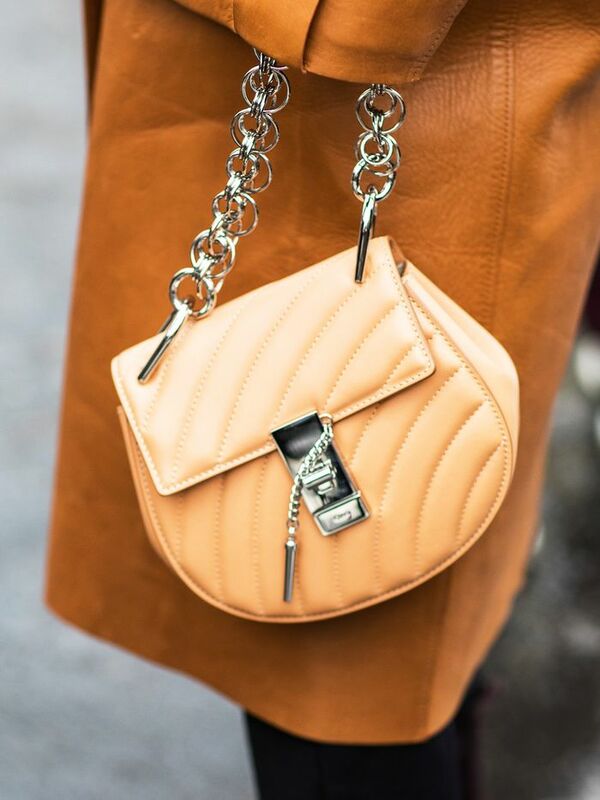 Plus, the wallet-size drop handbag (pictured) shows you feel feminine and dainty." Do you agree? How do you carry your bag? Sound off in the comments below!